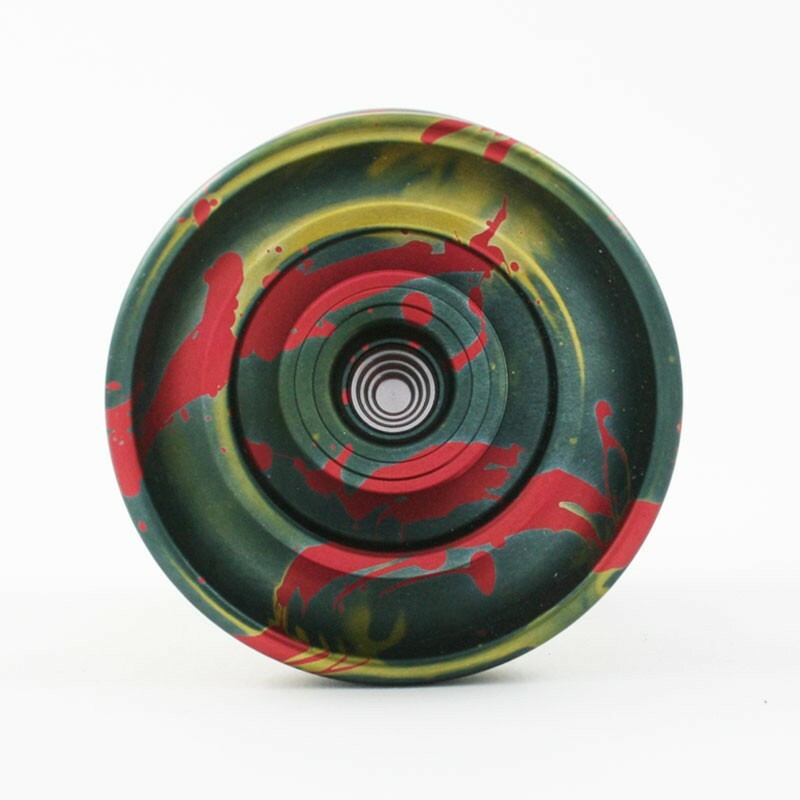 The 2016 edition of the Benchmark line has reached Yoyo Village! The 'V' style handles speed well and with addition of the inner ridge near the response, is deceptively wide. Take a look below for more information on the Benchmark Series. Because we were documenting trends, the previous series were released in the year after which they were named. We weren't able to release Benchmarks in 2015 due to our transition to the new shop. But that's all said and done with and it's 2016 now. We've slightly altered our focus and now have a different notion of what the series is all about. We have come to realize the basic shapes are kind of perennial, so the approach we're taking in this years line is to refine and improve on the shapes already set in place. Starting at $58, the 2016 Benchmark Series are a great way for any player to join the Side Effect fun. One of the biggest changes in this years Benchmarks is the addition of the ridge running along the response guts to reduce string to yo-yo friction, similar to the ones featured on the Vanguard, Gradient, Markmont. Classic, and Top Deck. This helps with keeping the yo-yo on plane, assisting you as you work on your most intricate elements and transitions. 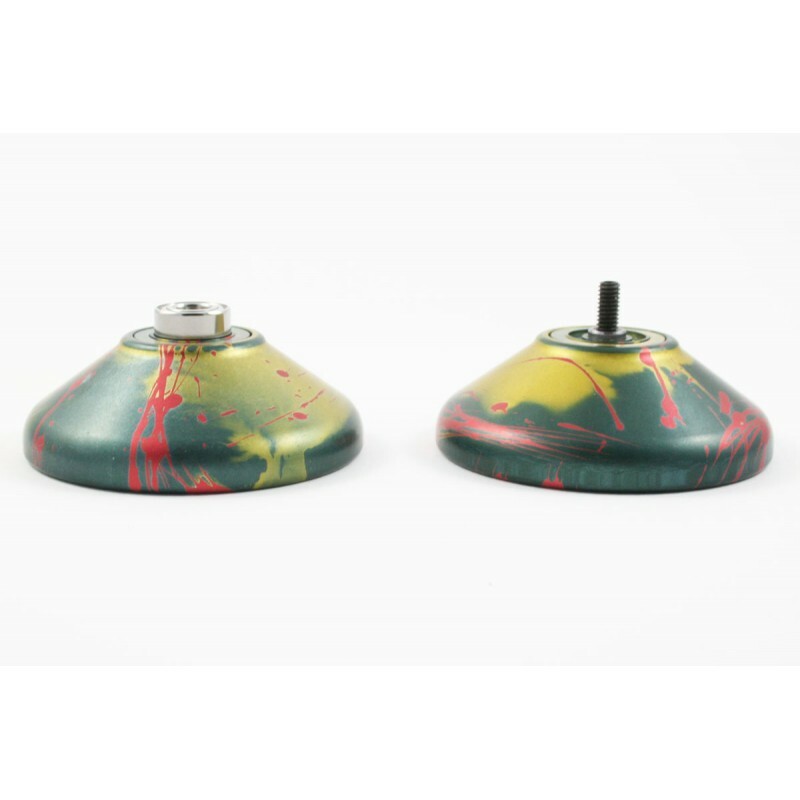 Take a look into the cup and you'll notice that we've lowered the drop step slightly compared to the previous models and with this set up, you're really going to feel the yo-yos snap as it hits the bottom of the string and soars into your combos. Like the previous Benchmarks, all four of them share the same specs. This year the diameter is the biggest of all of the series coming in at 56.7 mm. The shipping weight is 66.6 grams which is the heaviest of the series but with the addition of Side Effects, you can easily change that to your liking! The width is also the widest at 43.65 mm. 2016 Benchmarks are shipping with a new Side Effect: Energy Domes. These weigh in at 3.45 grams. As with 2014, there will be W, H, O and V.
W: Competition wing shape. Great mix of speed and stability. The catch zone is very confidence inspiring. H: It's beefy rims give it the most changed profile of the series. Most stable of the series. Long spin times and snuggles right into the hand. O: Classic smooth organic soul. For lovers of that old school rounded feel with all the modern performance benefits. V: Handles speed well and with addition of the inner ridge near the response, deceptively wide.